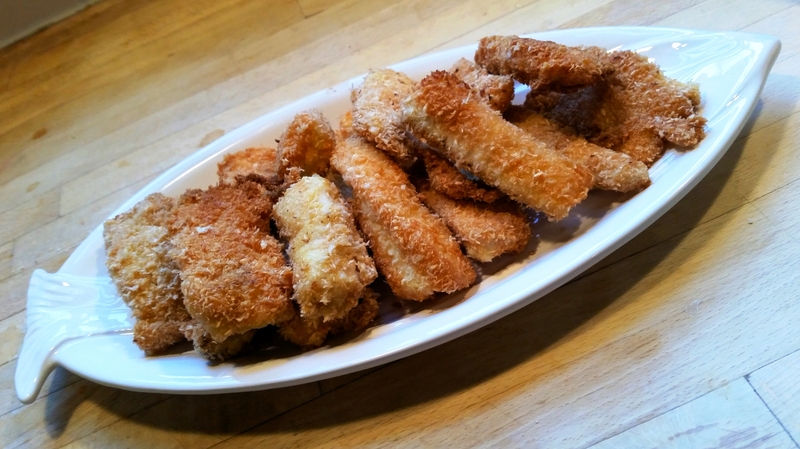 Coconut Fish Sticks with Spicy Garlic Aioli | Mommy. Foodie. Athlete. 1. Cut fish into fish sticks. Beat eggs in a small bowl. Mix salt and coconut and place on a plate. Coat each stick with egg then coat with coconut mixture. 2. Heat coconut oil over medium high heat. Fry the fish in small batches until golden brown on both sides (about 4 minutes per side). 3. Absorb excess oil with paper towels and serve with apicy garlic aioli.